Trying to find good trekking and topographical maps in India is somewhat like the proverbial head meeting the proverbial wall. My year of looking for the perfect set of maps- primarily of the Indian Himalaya, but also of other places- has yielded very interesting results. I love travelogues, especially those dealing with mountains, specifically the Himalaya. Now due to the range’s monumental hold on generations of visitors, there’s no short supply of great books or essays on this subject. But for an obsessive like me, what’s the fun in reading about these grand places without a good map to locate them on? The most commonly available maps of Uttarakhand and Himachal are the Nest and Wings maps, which are a combination of various sources, including the Survey of India trekking and topographical maps, and others. Now, these are generally quite good, with towns, cities, villages, passes, roads, lakes, trails etc mentioned in impressive detail. For the longest time, they were enough for my needs. But with a deepening interest came the urge to collect better maps, which would chart out valley systems, topographical features, ridge lines, peaks and approaches better. Now, this isn’t an unfair thing to expect. Look up any mountainous region in the world where travelers are wont to venture, and you’ll find some excellent trekking maps- not the meagre ones that our government issues, but more on that later. My search began in earnest last summer, after a visit to Tunganath and Chandrashila in the high Garhwal Himalaya, a place with views that make you want to sink to your knees and weep with rapture. Faced with the dramatic panorama of the Himalayan crest on the northern horizon, and the lower hills and then the plains far away, I was burning to lend nomenclature to all that I was seeing. Thanks to Nest and Wings, I had a general idea of the regions I was looking at- e.g. I could trace roughly the line from Bedni bugiyal via the high distant ridge of Kuari Pass in the west and below it, the deep cleft of the Alaknanda gorge. Where mid-day clouds covered the horizon, I expected the western arm of the Great Himalaya, containing the likes of Trishul, Nanda Devi, Dunagiri, Hathi Parbat, Ghori Parbat and Kamet, to name a few. In front of me, just beyond the end of the ridge running north from where I was, the cairn strewn summit of Chandrashila, loomed Chaukhamba. It is also known as Badrinath, after the Dham, and these four pillars of snow, ice and granite held sway over the imagination of Garhwal. On its northern face it formed a cirque of peaks at whose feet arose the Gangotri glacier. 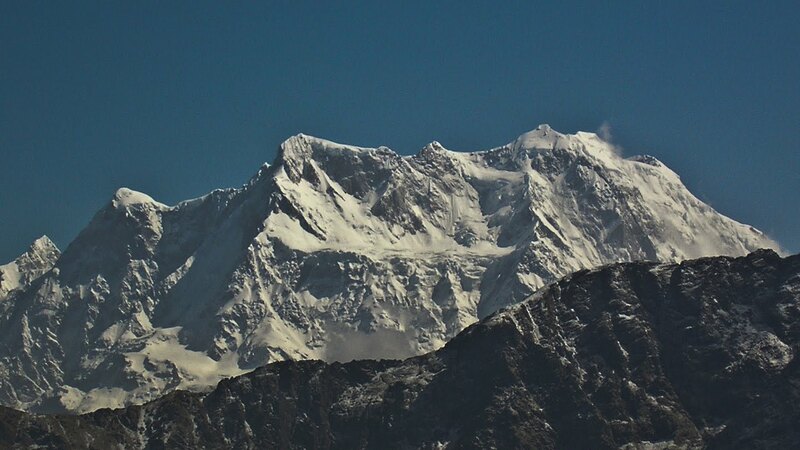 Further north west ran the line of the southern faces of a host of well known peaks that cluster around the Gangotri Glacier. 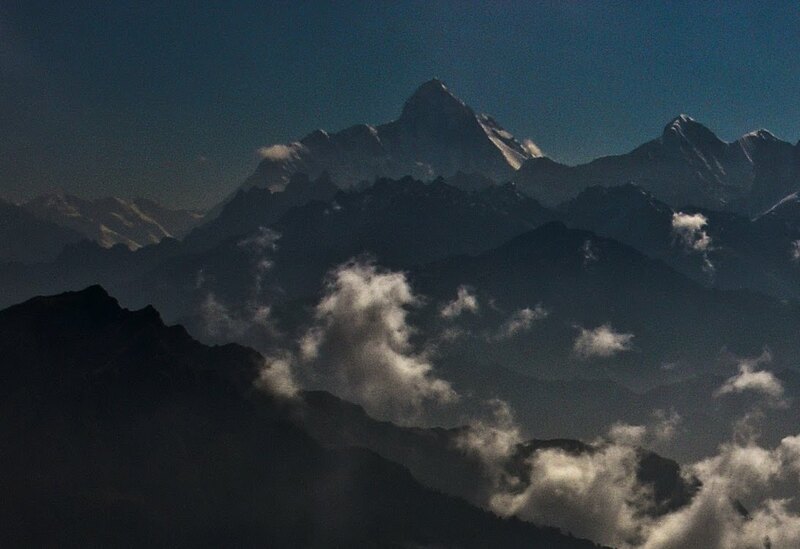 It was impossible, however, to be sure of the names of the peaks- apart from those of Kedarnath and Chaukhamba- at least for me. Having recently discovered Google Earth, however, I was hopeful of finding out the names. 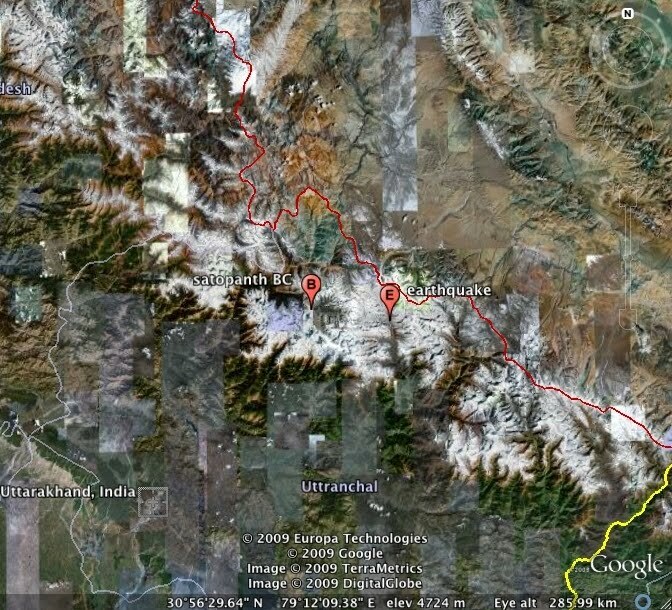 Google Earth was quite brilliant, visualizing the peaks for me, but they weren’t named, at least the vast majority weren’t. In this case, Nest and Wings was useless. himalayan mountaineering institute might have some maps?